Before you ask, no, I don’t know why there’s an arty picture of flowers next to a flipped photo of the composer. And while I’m in a grump, I do not understand why, after I carefully vet a proof, a copy editor can introduce new errors or miss ones that I have pointed out. Here they ranged from inserting a cack-handed and unnecessary ‘explanation’ (underlined here) into a perfectly clear statement and then not editing it properly afterwards – ‘… Beethoven’s Piano Sonata Op. 27 No. 1, which was described by its composer as a ‘sonata quasi una fantasia’ (ie a sonata in the style of a fantasia). ‘Quasi una fantasia’.’ – to giving one work the movement headings of another and failing to spot the auto-correct in ‘Lunam et Stellas in potestatem noxious’. 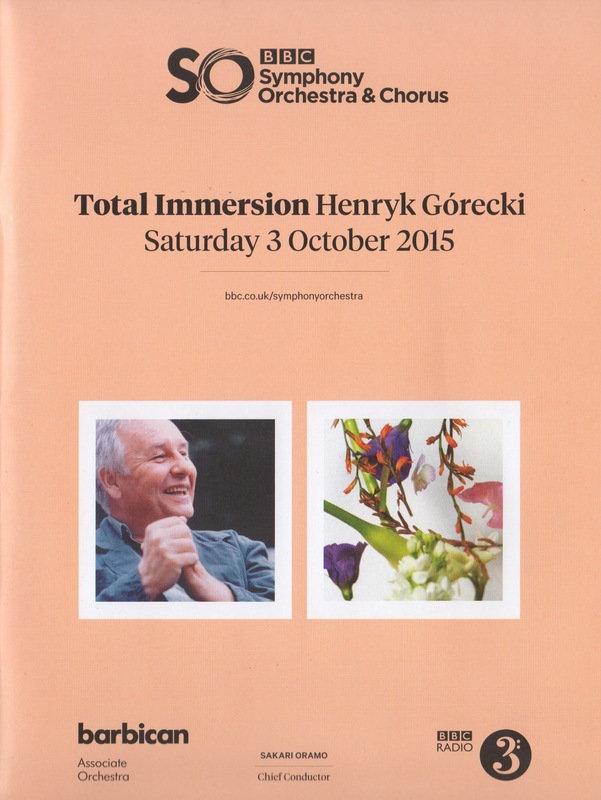 But these blemishes in the printed programme cannot detract from what was a terrific BBC SO ‘Total Immersion’ focus on Henryk Mikołaj Górecki last Saturday at London’s Barbican. I am not accustomed to writing reviews, and this isn’t intended to be one, but I can’t pass the occasion by without thanking the BBC SO for providing this panorama from his earliest acknowledged work (Four Preludes for piano op. 1, 1955) to one of his posthumous pieces (Kyrie op. 83, 2005). 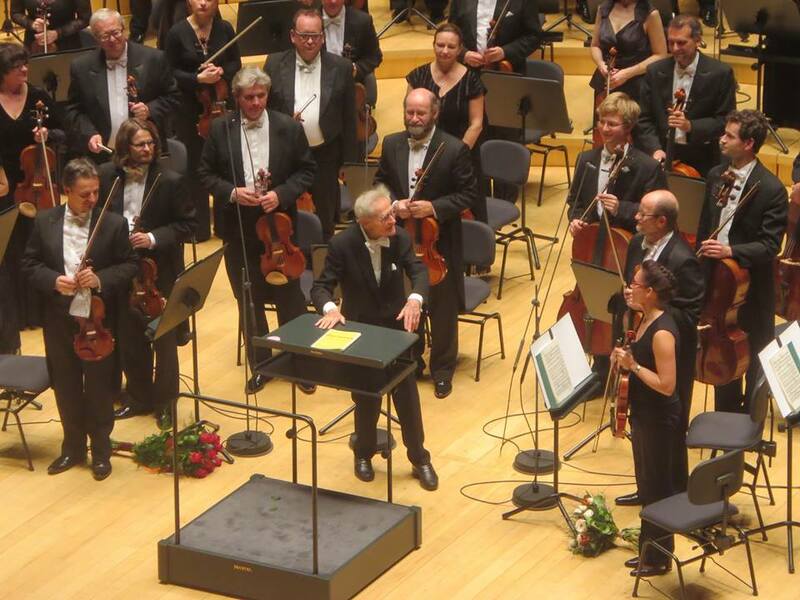 With only three concerts over a single afternoon and evening, it is impossible to represent all facets of a composer. In this instance, however, there was a glaring gap between 1956 (Piano Sonata) and 1969 (Old Polish Music) – his most experimental years. This was odd, given the day’s title – ‘Henryk Górecki: Polish Pioneer’. When I saw the preliminary programme, I did suggest that the Silesian String Quartet might add Genesis I: Elementi (1962) to its recital of the first two string quartets, but nothing came of it. Could the BBC SO not have replaced the rather formulaic Old Polish Music with Scontri (1960) or Refrain (1965)? This cavil apart, the repertoire choices were excellent and gave the large and highly appreciative audiences much to relish. I started off proceedings with an hour-long talk at 11.00, in which I deliberately complemented the day’s repertoire with discussion of other pieces. I was told that the 80 people who turned up were double the number expected, and they seemed to enjoy the mix of musical and anecdotal observations. The Silesian Quartet at 13.00 was in top form, bringing a grittiness and passion to the music that Górecki would have thoroughly appreciated. Violetta Rotter-Kozera’s biographical film Please Find Henryk Mikołaj Górecki (2012) was screened at 15.00. 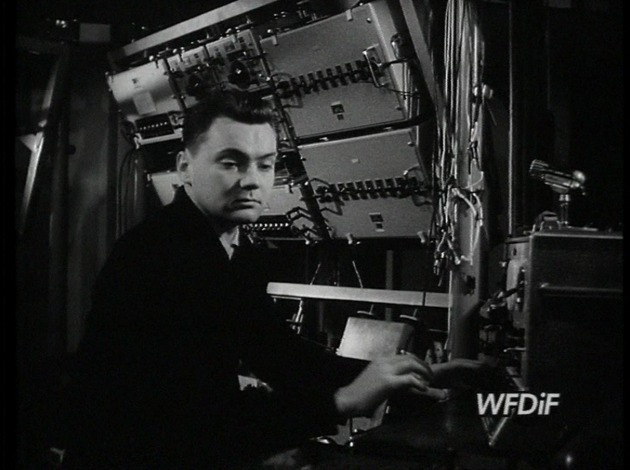 Its generally chronological progress was illuminated by archive clips and multiple interviews made in 2011 in the USA and Europe, although the English-language subtitling for the Polish interviewees occasionally left something to be desired. Consistently translating ‘utwór’ (work/piece) as ‘song’ was an irritating sign of the times, but the film is an honest portrayal and a welcome antidote to the Tony Palmer film of 1993. The 17.30 concert was shared by the BBC Singers under David Hill and the pianist Emiko Edwards. Edwards played the two student works with fire and understanding, both crisp and robust. The BBC Singers were also in top form. 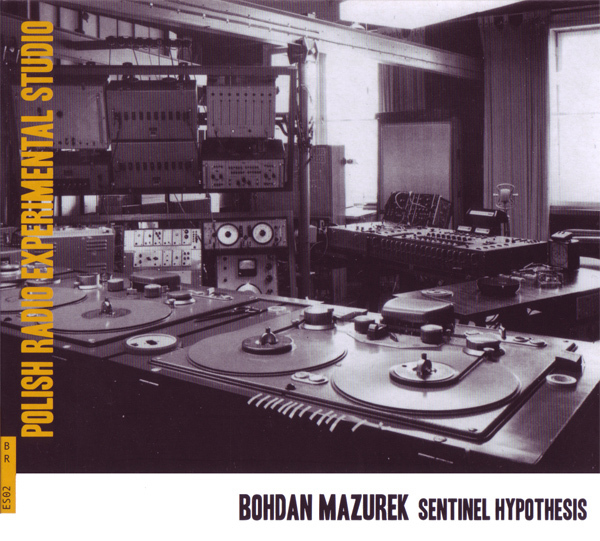 Their Polish pronunciation was exemplary, as was their tonal and dynamic balance. It was good to hear the complete Marian Songs (1985), although they are not the most interesting or varied of Gorecki’s a cappella pieces, but no. 21 of the recently published Church Songs (1986) was a good work with which to end the recital. Those members of the audience who reached their seats early for the BBC SO’s own concert at 19.30 were treated to a reworking of Totus Tuus under the composer Tim Steiner. The concert itself was the climax of the day, not least because its repertoire was almost entirely new to the audience, which reacted with enthusiasm. As I intimated earlier, Old Polish Music is one of Gorecki’s most austere pieces, but the new Kyrie (first performed in 2014 and here being given its UK premiere), was a softer, more intimate work and makes one wonder what the rest of the mass commissioned by Pope John Paul II might have been like if Górecki had got round to completing it. Mahan Esfahani was the cool and elegant soloist in the Harpsichord Concerto (1980), although I wished that the conductor, Antoni Wit, had not allowed even the reduced complement of strings to obscure the cross-metric subtleties of the solo part. The final work, and the one that startled the most, was the Second Symphony ‘Copernican’ (1972). My distant recollection of this rarely performed work (I’ve heard it live only twice before, at the Holland Festival in 1993 and later that same year in Katowice at a celebratory concert for Górecki’s 60th birthday) was revived by Wit, his two soloists (Marie Arnet and Marcus Farnsworth) and the BBC Chorus. The symphony’s impact was palpable. As both it and the whole day demonstrated, Górecki was far more than just his Third Symphony, and those present recognised this. Thank you, BBC SO! My programme essay and notes may be found by clicking on this link. 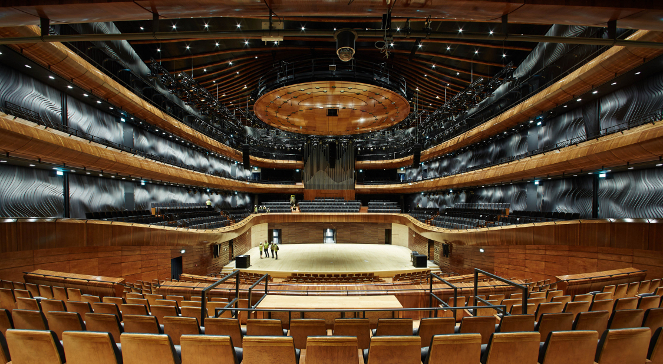 This day next week – Saturday 3 October – the BBC Symphony Orchestra is hosting Henryk Górecki: Polish Pioneer, its first Total Immersion day of the 2015-16 season, with the participation of the Silesian String Quartet, the BBC Singers, Mahan Esfahani, Antoni Wit and many others. There’s a creative project on Totus Tuus and a recent film not seen before in the UK. I’ll be introducing the film, giving the opening talk and chatting with Petroc Trelawny for the delayed broadcast of the BBC SO’s evening concert. 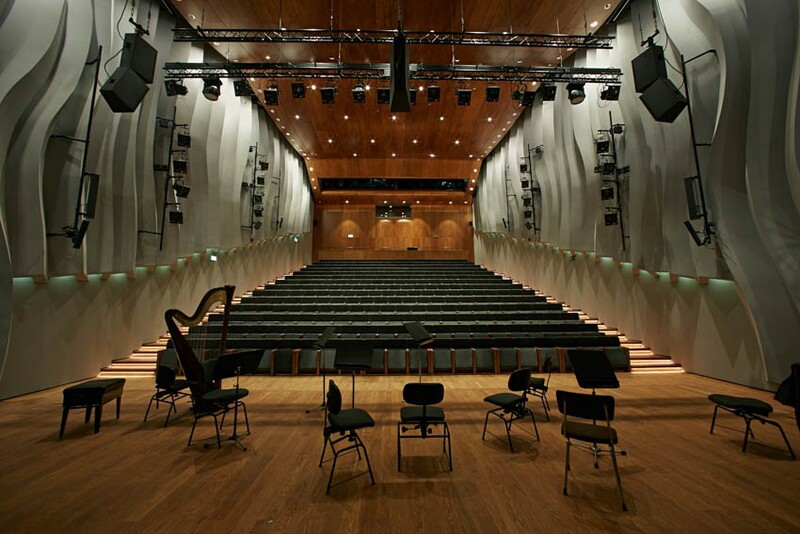 The recitals by the Silesian String Quartet and BBC Singers will be broadcast live on Radio 3, while the BBC SO concert goes out on the following Tuesday evening, 6 October. I don’t think I have ever seen such a colourful series of titles for the BBC Radio 3 series Composer of the Week. 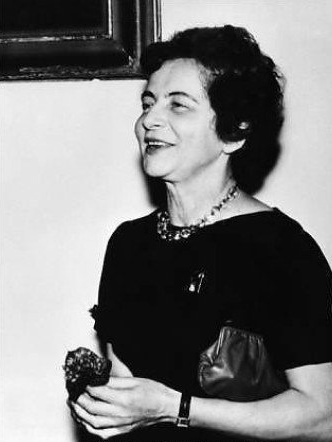 Today, and for the rest of this week, it’s the turn of Grażyna Bacewicz, presented by Donald Macleod with me muttering a few words from the wings. The titles are nothing to do with me, but I hope that they bring in the listeners! Programmes are broadcast at 12.00 (BST) and repeated at 18.30 (except Fri, when the repeat is at 19.00). Full repertoire details in my earlier post. At last! 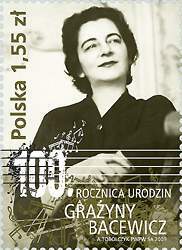 In two weeks’ time, Grażyna Bacewicz (1909-69) will be BBC Radio 3’s Composer of the Week. Five programmes, each lasting an hour, will be broadcast 25-29 May, at 12 noon and again at 18.30. Donald Macleod presents, as usual, and I’ll be chipping in with a few comments towards the end of each programme. I’ve not been involved in the selection of the repertoire. I’ve just been looking back at coverage of Polish composers on COTW. Sadly, the BBC webpages (once you’ve learned how to navigate them) are reliable only for the past ten years. Before that, specific years and dates then become very patchy and there is nothing concrete before 2001 except an alphabetical list of names since the series’ inception in 1943. It seems to me that there is an unanswerable case for Górecki, Penderecki and Lutosławski to be included in future plans for COTW. They are more than equal to quite a few composers who have been featured in the series over the past ten years. There are other Polish names too, who might be grouped together if there was insufficient recorded material for them to be treated singly: Kazimierz Serocki, Tadeusz Baird, Wojciech Kilar and Zygmunt Krauze come to mind, or even composers of younger generations. 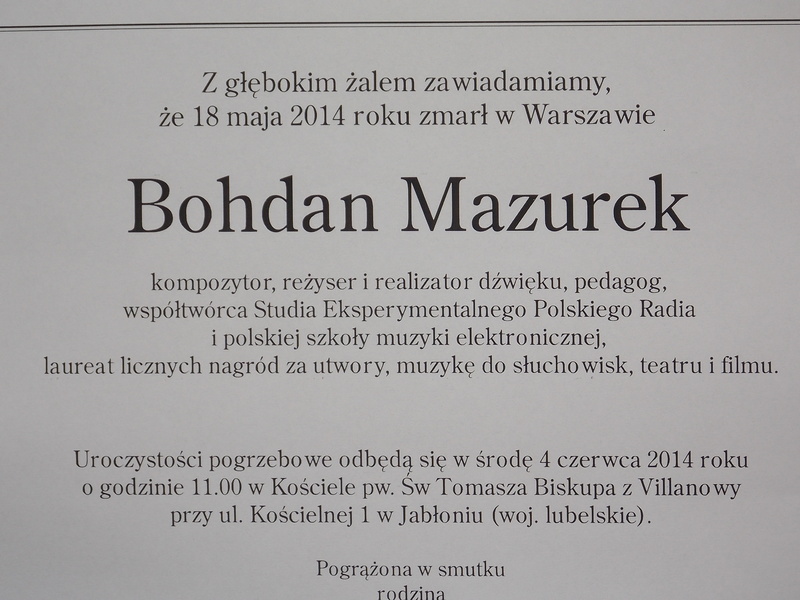 And there is now much more available on 19th-century Polish music, not to mention the Polish Renaissance and Baroque. But back, for now, to Bacewicz.